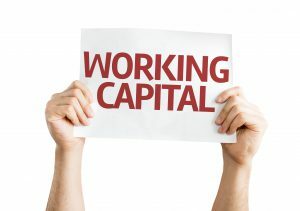 A shortage of working capital can be a serious problem for a business. To a great extent, your cash flow determines your ability to grow. Bank loans can help in this regard but many smaller businesses have difficulty securing a line of credit large enough to fund substantial growth. One solution to this problem is invoice factoring, a creative financing option that lets you receive cash immediately for invoices. Let’s look at some of the advantages of invoice factoring and how it can enhance cash flow and spur growth for your business. Invoice factoring helps to solve an ongoing challenge faced by many businesses. Typically, you have to wait weeks or even months for customers to pay invoices. This waiting period limits your cash flow. With invoice factoring, you’re able to receive payment on invoices immediately. The factoring company then collects payments from your customers. Invoice factoring provides you with additional working capital that you can use for any purpose, such as buying more inventory, hiring additional employees, marketing your business or investing in new equipment. The requirements for invoice factoring are less stringent than for traditional loans. If you have an existing loan outstanding, and have already pledged your business assets as collateral, a factoring company might still be able to supplement your cash flow through a process known as subordination. When a factoring company enters into a subordination agreement with your bank, where the bank subordinates its collateral position on receivables, the factor takes on the role of an additional creditor. This allows you to leverage accounts receivable and purchase orders and obtain cash when you need it. Companies that aren’t eligible for loans or that could only access a small line of credit on their own can often obtain more substantial loans through invoice factoring and subordination. In order to obtain conventional bank loans, you need a strong credit history. You may also have to provide outside collateral. Newer or smaller businesses often have difficulty meeting these standards. This can create a vicious cycle where you can’t grow because you don’t have enough capital and you can’t get the capital you need because you’re too small. Subordination provides a way out of this dilemma. Once your bank agrees to subordinate receivables to the factoring company, you can use your accounts receivable as assets, giving you access to a greater line of credit than you’d otherwise be able to get. In any case, invoice factoring is a viable way for many businesses to get financing even when their banks turn them down for any type of loan. Riviera Finance is one of the leading invoice factoring companies in North America, with more than 20 locations in the United States and Canada. Riviera has more than 1,400 clients and has been providing financial services to businesses since 1969. Riviera Finance can help you obtain the working capital you need with invoice factoring and other customized financial solutions for businesses. See how you can get started now.